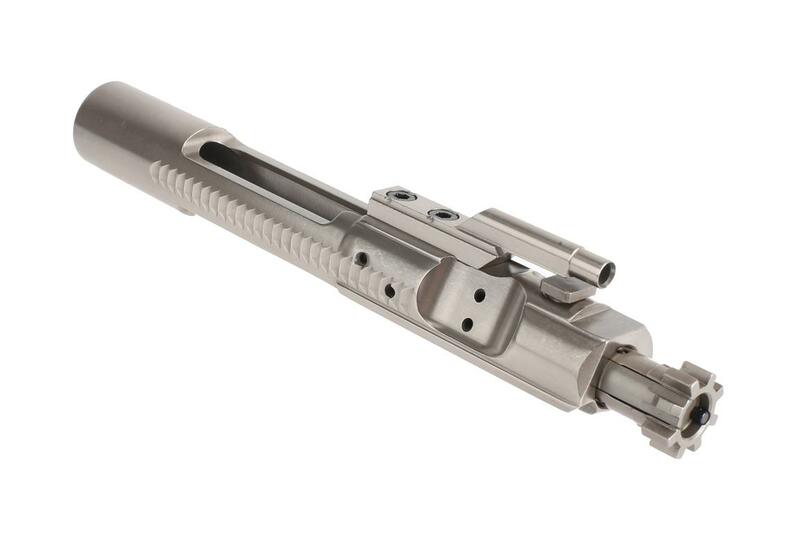 The Aero Precision Nickel Boron Bolt Carrier Group is a substantial upgrade from a standard BGC. Its NiB coating reduces friction on sliding surfaces and prevents carbon build-up making cleaning a much easier task. MIL-SPEC dimensions ensure correct component function and reliability. Upgrade the extractor spring and you're good to go! This is the second Aero NiB BCG I've purchased and I can say the only thing left to do is replace the extractor spring with a BCM high power extractor kit and you've got a very good setup. Great NiB BCG from Aero. Runs smooth. Easy to clean. Used on my first build. Went another route on my other two builds (non-NiB) and regret not spending the extra to get another one of these. As always, fast shipping and great prices from PA.
Love this Bolt Carrier it runs freaking fantastic!! Bought one of these for my first AR build a couple years ago, needed to be worn in but after the first mag it ran like a champ. I'm going to be buying 2 for another couple builds. I will definitely be buying from these guys again this is a fantastic BCG! I would give it 5 stars but i'm not because when I took out the pin that holds the firing pin I could not get it back in. It expanded as it should when it was taken out but it expanded so much that it would only go 3/4ths of the way in. 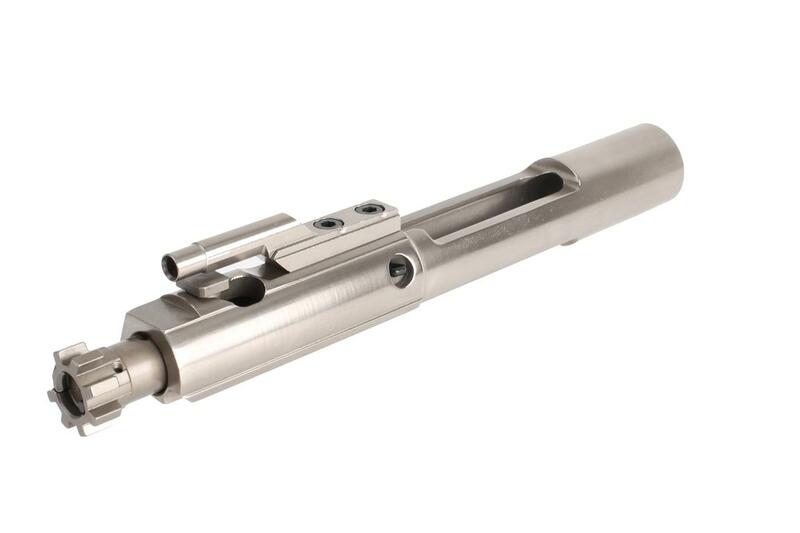 Overall great bolt carrier, very nice finish and is very durable. Would buy again. 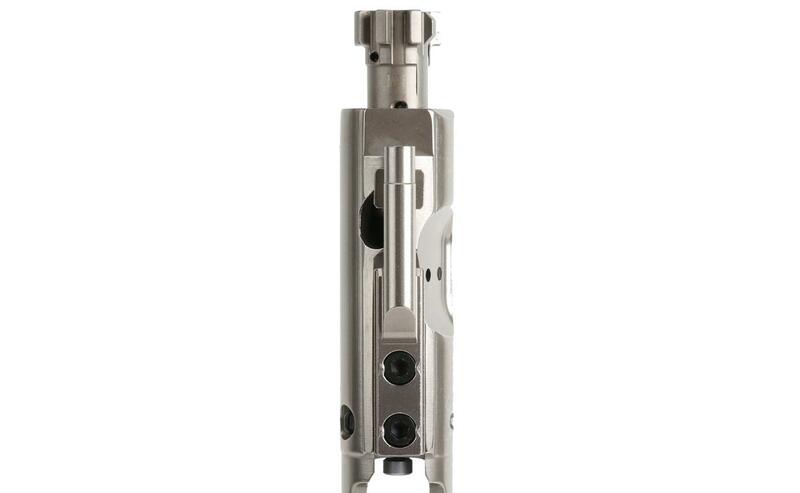 With aero precision's craftsmanship an primary arms super fast shipping u cannot go wrong nice bcg for any build the nickel boron is twice as easy to clean ! More than I wanted to pay, but the best BCG I've found without spending over $200. Primary Arms never disappoints! Always have the latest products at the best prices and ship very fast! 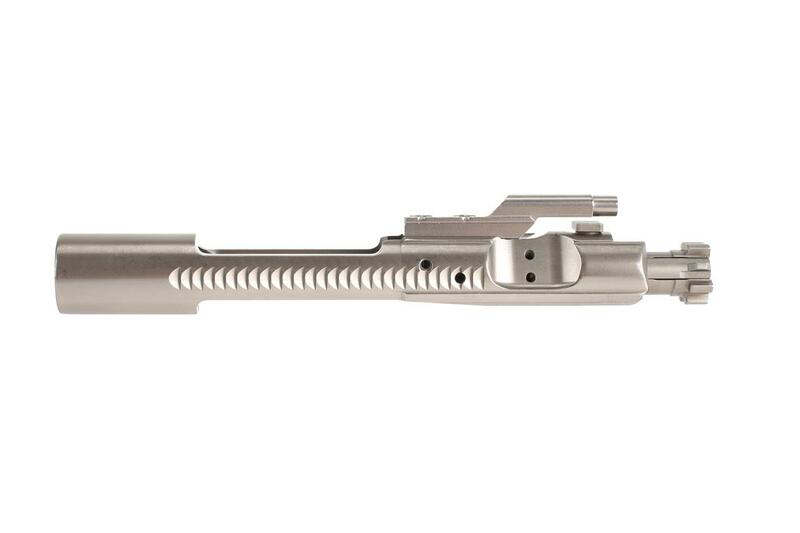 The bolt carrier is polished and looks great. Preformed flawslessly on my initial range session. The only concern I had was that the bolt itself appears to be coated but not polished like the rest of the carrier. No big deal but would have been nice. Just got my BCG in, spent two weeks deciding who to go with. I read these are coated by Fail Zero from a rep from Aero on a forum (could not verify though) so I thought it would be a good item because they only sell quality items. The fit and finish is great, very high polish, and slick as a new skillet! My only issue, albeit this is my first NiB BCG so it may be normal, is that there is a good bit of sand/polishing compound in many crevices. The compound wiped right off, and the sand did also. The only place I couldn't get it out of was the hex head fasteners on the gas key. It's kind of stuck in the edges around the bolt head. No big deal as I'm sure it will work it's way out, or will come out with a dental pick, but is worth noting nonetheless. Ordered 6AM Monday morning, got here before lunch Wednesday. First purchase from Primary after lurking for a month. Great job guys! 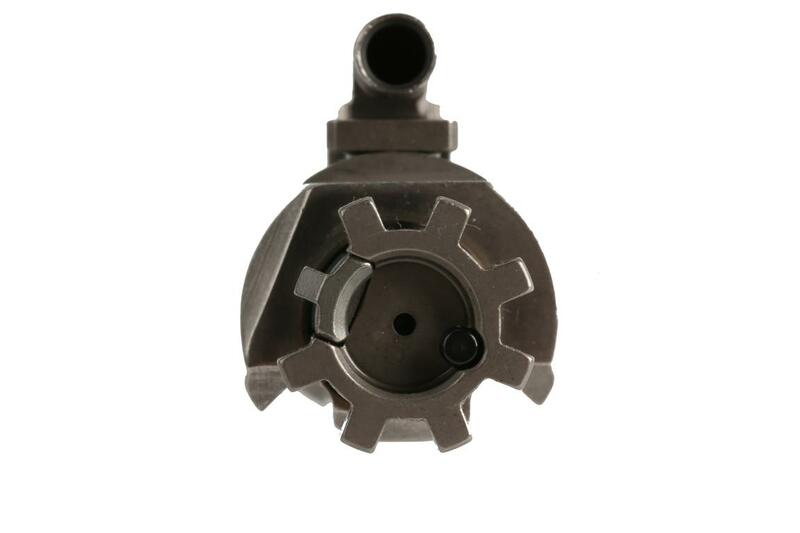 I ordered this to be an upgrade to a stock Bushmaster BCG. But at first glance the nickel boron coating didn't look uniform. So disassembled it to see what the moving interfaces looked like on the bolt and the inside of the carrier. I wasn't impressed but the thing that really disappointed me was the firing pin retaining pin holes. The second hole either wasn't properly aligned with the first or there was no piloting feature. this made in impossible to get the pin back in. I own 4 ARs and have never had this issue on a BCG before. 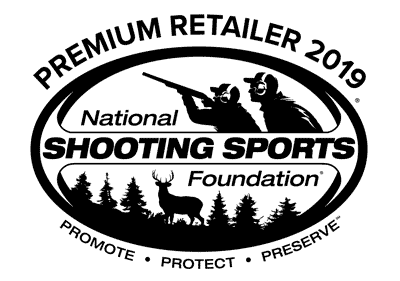 The upside was the folks at Primary Arms were great as usual. I returned it and they refunded the price of the BCG and the shipping. Unfortunately I am still looking for that BCG upgrade. Matched this up with an Aero Precision forged lower and a 16" Colt SOCOM profile barrel. EWL oil worked nicely to keep it running and clean up was easiest I've had with an AR bolt. Very happy with this purchase and also with Primary Arms. Outstanding service and a variety of top-quality parts at decent prices. although I have not purchased any from Primary Arms, I have gotten 4 directly from Aero Precision and can't say enough good things about them.